Welco a well established company, specialising in central heating/hot water system repairs, electrical inspections, electrical testing, electrical rewiring, emergency lighting, security alarms, and portable appliance testing to our customers for over 20 years, developing a solid reputation as expert domestic electricians and commercial electricians in the process. 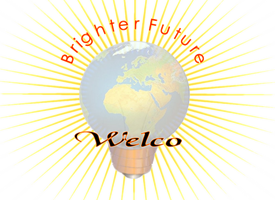 Electricity in safe hands providing a brighter future with Welco. We also provide central heating and hot water repairs in Slough, covering such ranges as Gledhill Pulsacoil, Boilermate, Torrent systems etc. If it is a Gledhill, Megaflo, Oso, Range, Telford system and any other manufacturer, we can repair them. Domestic and commercial electricians in Birmingham with experience, expertise and our efficient approach have ensured that Welco have become an established and trusted name with a reputation for a courteous, professional service. Welco understands that customer satisfaction is the key to the success of any firm. That's why we work hard to ensure that our customers receive a quality of service that continues to build our reputation. For more information on our full range of our electrical services please do not hesitate to get in touch. Don`t delay, call WELCO today on 0800 050 9489.